He went on to say that no matter what you call this season, in reality it is about the birth of Jesus. Yeah, yeah, I know about all this Druid stuff and everything, but like it or not, it’s about Him. It reminded me of the carol I’m studying on this Fourth Day of Christmas, “Lo! How a Rose E’er Blooming.” Now, this one goes way back. 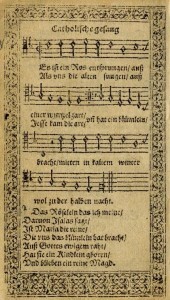 The first time it showed up in print was in the 1599 Speyer Hymnal. 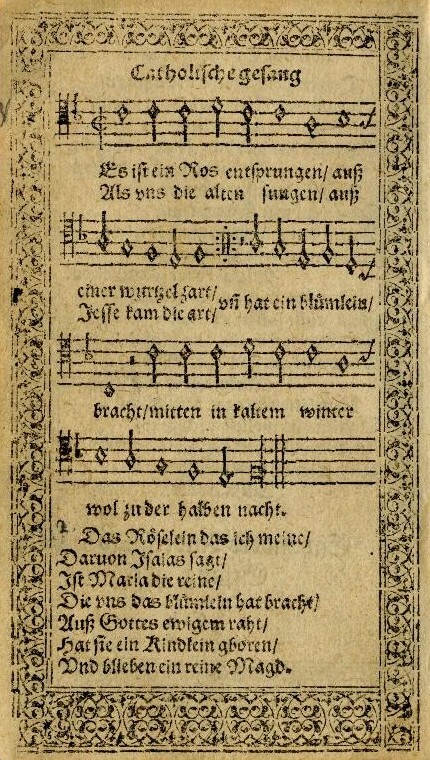 The version we use today was harmonized by Michael Praetorius in 1609. It is a haunting melody that has a free rhythm in a Gregorian chant style. The original had 19 verses and a few more have been added over the years. Today, we typically reduce them to five. Of these, verses 1, 2 and 4 are from the original. The song showed up in the 1970 film, Love Story and was the recurring theme in the 2009 movie, The Time Traveler’s Wife. Now, back to our original discussion about Christmas, Happy Holidays or whatever one wishes to call it. The bottom line is Christmas is about Christ. We date our modern calendars from this event and it was a moment that literally split history in two. So, call it what you may, a rose is still a rose and Christmas is still and always will be about the coming of the Christ child. For me, this is freeing. It is not something that I need to use to pound on the heads of unbelievers. But rather a truth that, whether recognized, belittled or ignored, still remains. 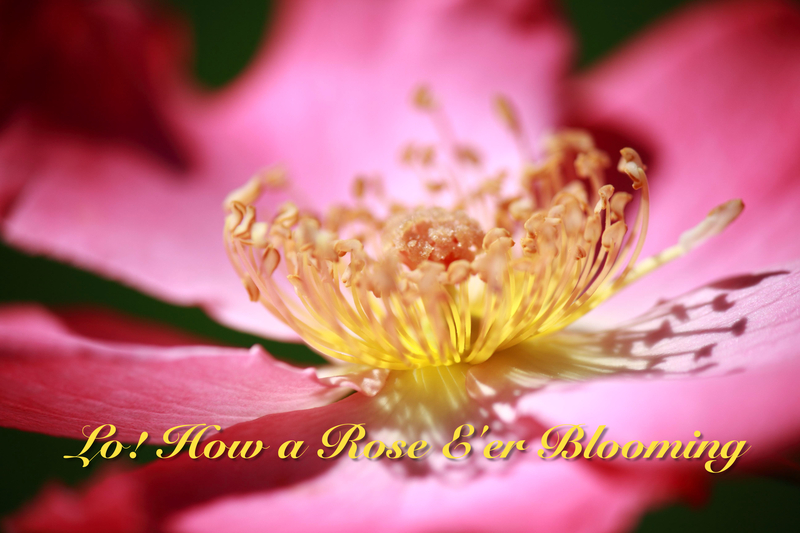 You may enjoy listening to a classical guitar rendition of this song.